A three bedroom extended terrace home located in a cul de sac position in the popular village of Clapham. 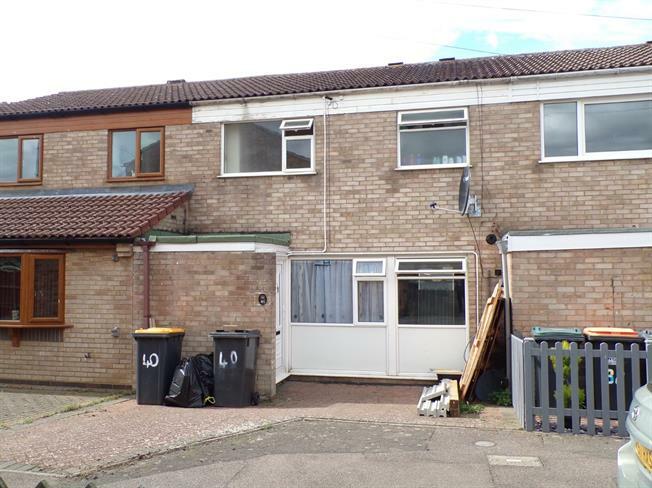 The property does require some updating and would be an ideal first time buy or investment and is available with the added bonus of no upper chain. Benefits include double glazing, gas to radiator heating, and uPVC conservatory of the lounge. Upstairs there are three bedrooms and a fitted family bathroom. Radiator. Door to breakfast room. Double glazed uPVC window facing the front. Roll edge work surface, built-in units, single sink. UPVC French double glazed door, opening onto the garden. Radiator. Double glazed uPVC window with obscure glass facing the front. Radiator. Panelled bath, pedestal sink. Laid to lawn. Enclosed by timber lap fencing.